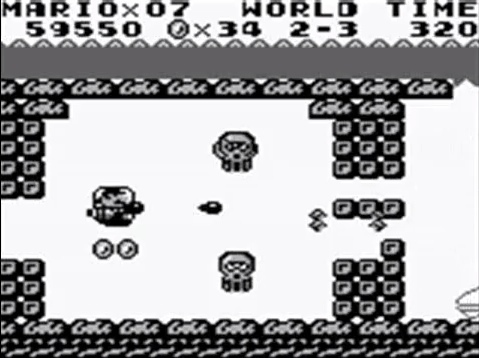 Mario's first Game Boy adventure is also one of the strangest. When it comes to Mario, Nintendo has taken plenty of risks, from transforming him into a baby in Super Mario World 2: Yoshi's Island to strapping a water cannon on his back in Super Mario Sunshine. That said, the publisher doesn't hold back with Mario's portable adventures, some of which feature unconventional things you don't often (or never) see on console. 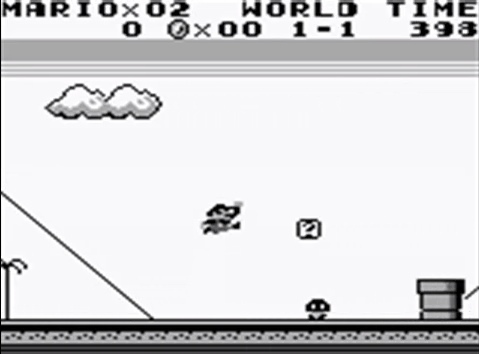 Case in point, Super Mario Land, the Game Boy launch title from 1989. At first glance, it appears to be your standard Mario adventure. Collect gold coins, stomp goombas and what have you. Nothing odd here. Play for just a little while, though, and you'll discover things that make this imaginative game unique. In fact, some of the features were never seen again in a Mario game. Think about the story. Mario, normally out to save Princess Peach (known as Princess Toadstool back in the day) from the clutches of Bowser (formerly known as King Koopa), instead travels to a place called Sarasaland to rescue Princess Daisy from the diabolical alien called Tatanga. Then we have the vehicles. You read that correctly. Vehicles in a Mario game. To get around, our hero hops into the Sky Pop airplane and then the Marine Pop submarine, both of which fire projectiles. Can't say we saw that in New Super Mario Bros.
What's more, when you jump on a Koopa Troopa, the shell explodes. You don't even want to come close to that thing when it goes off. Nintendo also did cool stuff with the classic Fire Flower. Picking up one of these bad boys lets you unleash fireballs, which should come as no surprise. In this case, however, you can use these projectiles to grab coins and watch as they ricochet off walls and ceilings. Why is this game so much different than more traditional Mario hits? That probably has something to do with its creators. Mario's proud papa, Shigeru Miyamoto, handed the development reigns to Satoru Okada and Gunpei Yokoi, father of the Game Boy. On that note, we've always had a soft spot for Super Mario Land and can't wait to replay this gem on 3DS via the eShop. If you missed out on this critically acclaimed hit, don't worry, as it'll reappear soon enough. Just prepare yourself for a walk on the weird side.